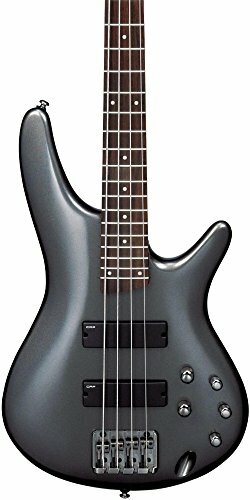 If you are someone who has never played a fretless guitar or you’re not someone who plays fretless guitars often, I would highly recommend the SR300. 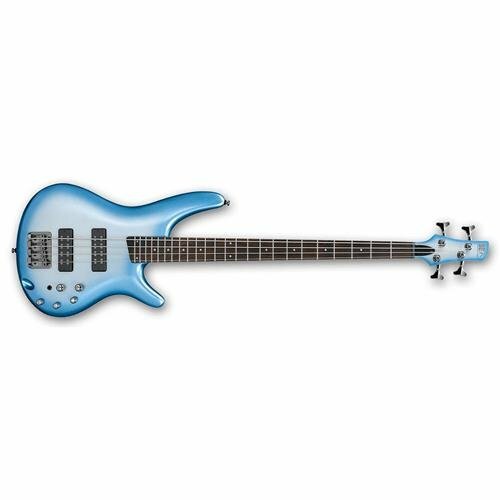 This fretless bass guitar is extremely comfortable and easy to play. This guitar fits a beginner’s budget perfectly. Also, it is a reasonable investment that you can make without having to worry about going broke. In the tonal department of this bass guitar, there’s a lot to experiment with. The flexible EQ is one of the most exciting parts of this bass guitar. With the neck joint set aside, there aren’t a whole lot of problems with the build of this bass guitar. In fact, some musicians may not like how lightweight this bass guitar feels. However, this may also stand as a positive for other types of musicians. Through my personal experiences of playing around with the Ibanez SR300 Fretless bass guitar, I would say that this fretless bass guitar is great to use if you’re looking to get yourself introduced to the world of bass guitar. The build of the Ibanez SR300 isn’t anything unique or special. It has a super thin body, with minimal contouring. There is very minimal body depth around the top part of the body of the guitar. The rounded ‘ears’ on the top part of the body have a heavy cutaway. This allows musicians to easily reach the end of the two-octave neck. Due to the use of Agathis to comprise the body, the bass guitar balances very well both on and off of a neck strap. I preferred playing the guitar while it was on the neck strap because the neck strap added just a small amount of weight to the instrument which makes the instrument feel just a bit more secure. The Accu-Cast B120 bridge on this guitar is a very solid bridge. This bridge allows for changes in the intonation and the action of the guitar. Straight out of the box, the overall set up of the guitar is generally great. The D’Addario strings that have come with this guitar seem to be a bit on the ‘older’ side, simply because there aren’t any harsh bright tones produced by this guitar. 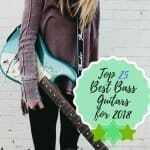 This bass guitar produces a phenomenal sound; it’ll be hard to find a bass guitar that can beat the Ibanez SR300 when considering the price tag and the sound quality that comes from this guitar. I’ve played bass guitars that are more expensive than this instrument and they don’t produce nearly as half as good of a sound that the SR300 produces. There are tone shaping knobs on the bass itself, which will really come in handy if you’re looking to truly shape your ideal sound. However, you would be quite surprised to know that if you set the EQ flat, the sound that this guitar produces doesn’t have that ‘fretless’ bass guitar sound; it doesn’t have any bite to it and it really lacks its own unique voice. Throw on a fresh pair of strings and you’ll bring back a bit of life into the sound of this guitar. The new strings bring back a bit of warmth into the sound, but the unique voice of this instrument is still muted to a sense. Add back some EQ into the sound and the SR300 brings back great display with a graveling sound. Spreading your sound across the pickups and you’ll achieve that fretless bass guitar tone that makes fretless guitars so well-loved. 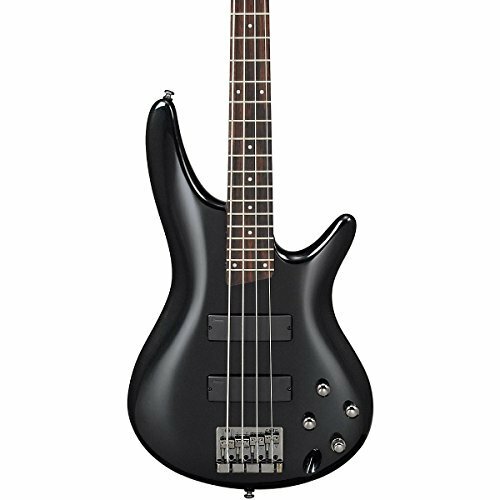 SR300 really works well with lower register tones the lower register on this bass guitar are rich and strong without being too overpowering when you’re moving along the neck. The strings on this bass guitar posses an equal amount of volume without the strings sounding too flimsy or thin. The EQ that Ibanez paired with the SR300 really does wonders, as the EQ helps to bring out the natural resonance of the bass. However, when I was playing around with the guitar, I found that if I turned the EQ all the way up to the extreme, the sound was almost too full. The neck of this bass guitar is a dream to play. I am someone who has smaller hands and I really don’t tend to enjoy playing bass guitars because the necks are usually so thick and painful for my hands to play for long periods of time. However, I was honestly surprised at the size of this guitar’s neck. The neck was super thin and all of the frets were easy to access. 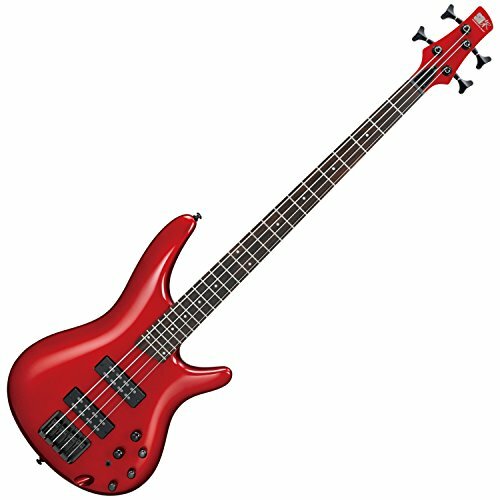 I would not recommend this bass guitar if you are someone who doesn’t care about technique or you have a sloppy technique. The active pickups that are on this bass guitar really make sure that everything is heard on this bass guitar, which can really muck up your sound if you’re a sloppy player. I took a few days to get myself used to playing this bass guitar. In addition, I have to say that I feel like the majority of this bass guitar feels well-made and solid. However, I did feel like there were a few parts of the neck of the guitar that wasn’t sanded down as well as they could have been. The neck is comprised of five different pieces of laminated wood and it bolted on to the body of the guitar. It has a 38mm nut width, which means that the lower part of the neck is a lot easier to reach in comparison to other bass guitars. The 19mm spacing at the bridge does happen to minimize to 10mm by the time your hands get all the way down to the nut. This means that if you’re someone who hates playing with tight string spacing on the lower end of the neck of the guitar, this isn’t going to be the bass guitar for you. As for the neck joint, Ibanez could really improve on this part of the build. There is a pretty decent gap between the neck of the guitar and the body; while this doesn’t mess with the playability of the guitar. I personally do believe that this does happen to change the tone of the guitar a little bit. 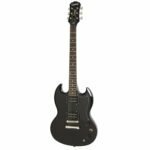 In case the Ibanez SR300 just isn’t the exact guitar you’re looking for, here are some other alternatives. These are quite similar to the Ibanez SR300. Stagg BC300FL Fretless Four String Fusion Electric Bass Guitar: This bass guitar is comprised of a solid Alder body, a hard maple neck, and a rosewood fingerboard. Like the Ibanez SR300, the Stagg BC300FL has a great string response. This due to the pickups that are installed in the BC300FL. The all-black design of this fretless bass guitar comes across as incredibly sleek and classic. Meanwhile, providing musicians with the options of playing the BC300FL in a variety of music styles. All this for around $200. If you aren’t very clear with your technique, you’re not going to have a great time playing this bass guitar. This instrument requires clean technique if you’re looking to achieve a clear, clean note definition. At the end of the day, make sure that you don’t purchase your next guitar based off of reviews. Take the time and go play around with the bass guitar in a store before committing to a purchase. I hope you enjoy your Ibanez SR300 Fretless Bass Guitar! 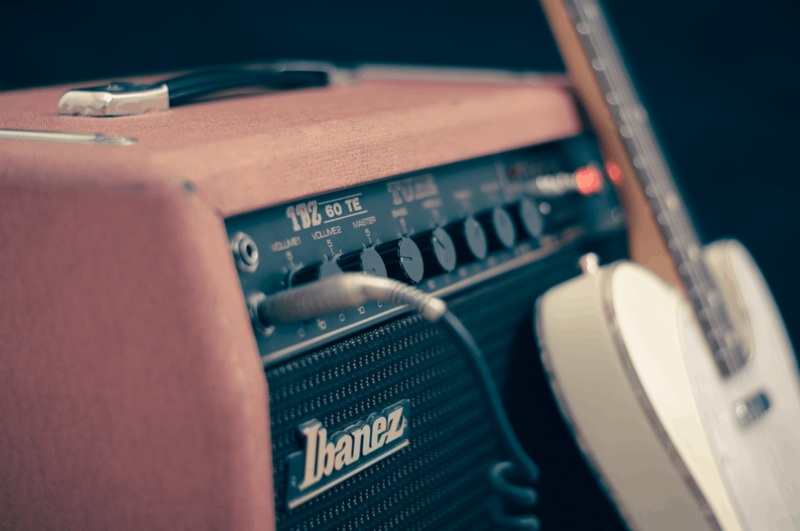 The Best Locking Tuners: What Are Locking Tuners?